Merry Christmas From Miamai & KittyCatS! It is the KittyCats 4th Annual Advent Calendar and Miamai is joining in the fun! 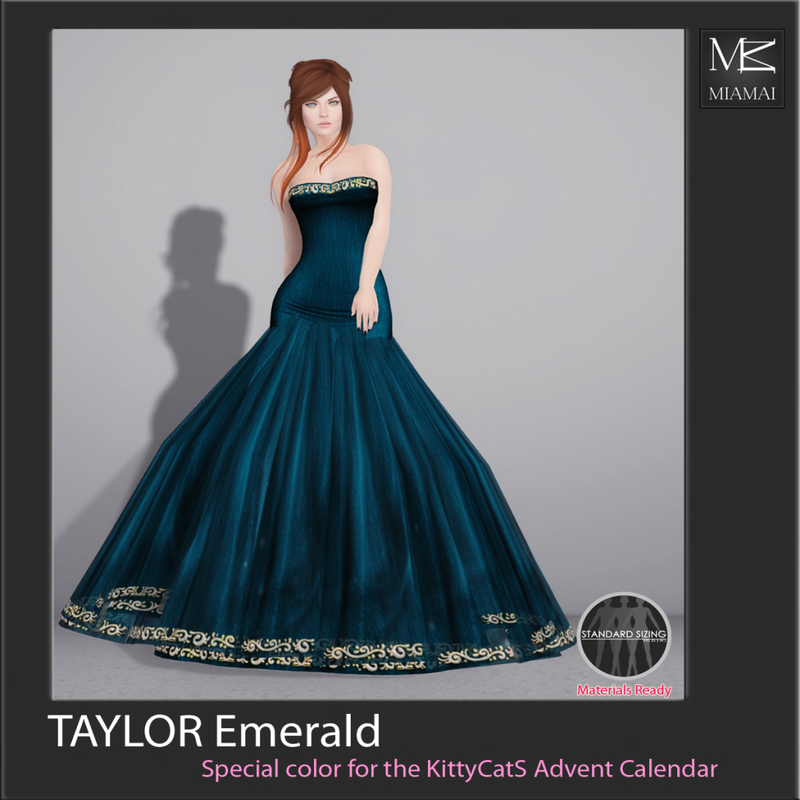 Miamai has Christmas gift for you, a special version of the Taylor Gown in a beautiful color with gold trim that you will only find in the KittyCats Advent Calendar! with a flexi skirt for those holiday gatherings! This gift is at the KittyCats Main Sim waiting for you with a bunch of other wonderful gifts! 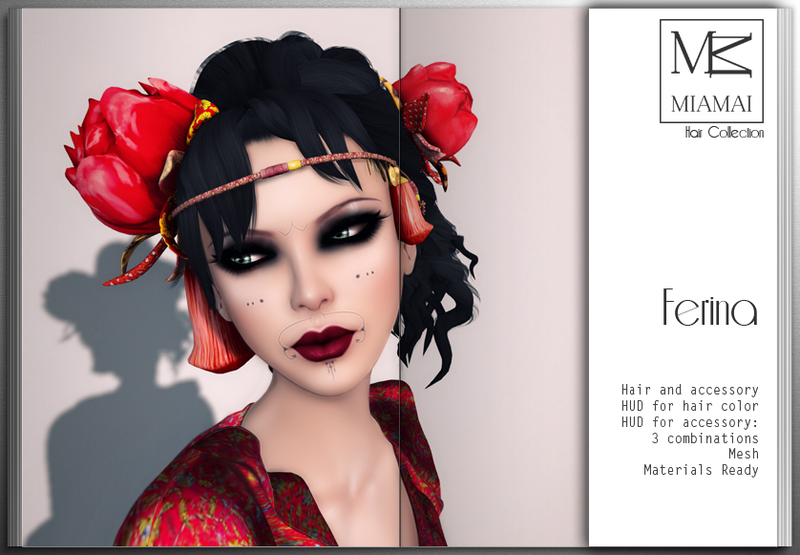 Hair Fair 2014 opens today and our designers Monica Outlander and Pill Kanto present 5 new styles donating 15% of all sales to Wigs For Kids Charity on every hairstyle. 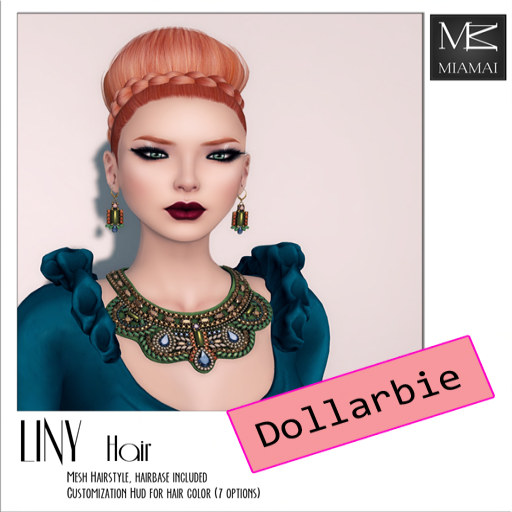 This year Miamai reworked all the hair textures and the hairbases, and decided to sell three big packs of hair colors: one HUD for all the Naturals, one for the Colors, and one for the Ombres. We present to you here just a sample of each hair, to see the entire collection of hat colors and hair please visit the Hair Fair. 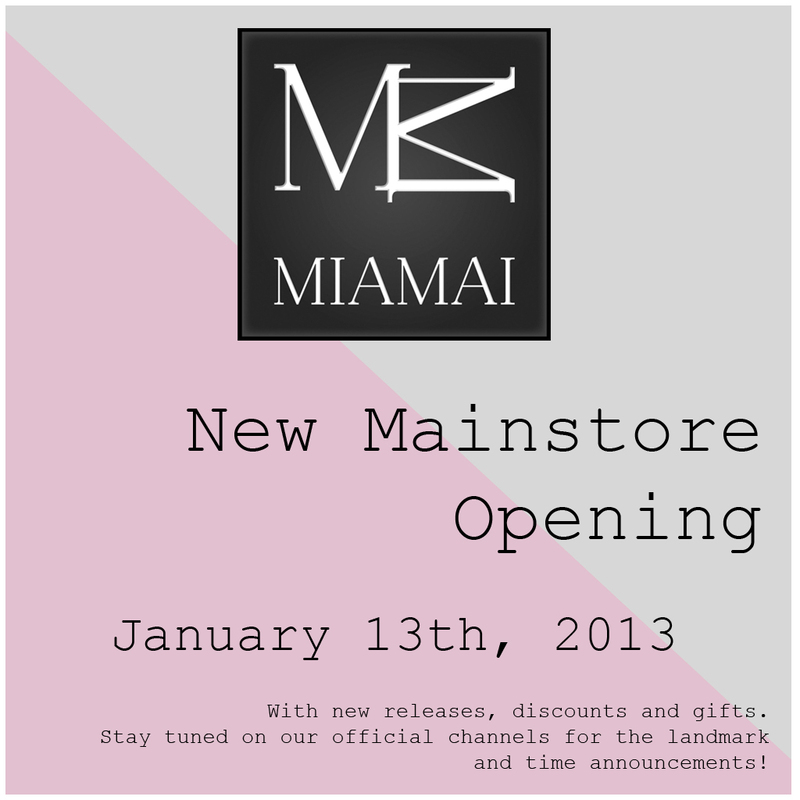 Miamai is proud to be a sponsor in this years Womenstuff hunt! We want to wish you a very happy Easter with this gift version of our Jinke mesh leggings! It’s free for our group members, and you just need to teleport to our Mainstore to get it! Just an head up about our Facebook page…are you following us there? The page is pretty new, and we are eager to have new friends, followers and likers! We also enjoy holding random giveaways for our followers…Actually we just held our first one and we announced a winner today: a lucky customer who won 5000 L$ in store credit. Here is our Facebook page…we wait for you there!